Joy of a New Grandmother! 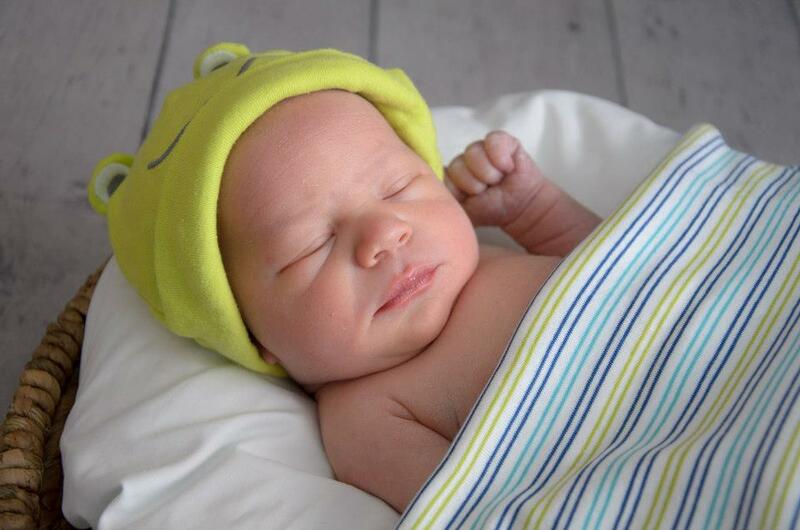 I’m in love, again, with a beautiful baby boy…Evan Michael. For years I have heard about the tremendous love a grandparent feels for their grandchildren and now I get to experience that joy! As our children grow up it is hard to imagine that they, too, will once be parents. Not only is there joy in meeting your grandbaby but joy in seeing the eternal love that the new Momma and Papa have for their sweet baby boy. Daughter, Sarah and her husband, Kyle, had their precious baby on April 24. Mother, Father, and baby are doing well. I am so happy for them and wish them good health, much love, and happiness for their family. You stole our breath, embraced our heart. You’re part of us our little one. Our mind was filled with thoughts of you. Like bedtime stories and teddy bears. Like nursery rhymes and ABC’s. We gently kiss your head and cheek. We memorize your eyes and nose. Awed each day we love you more. We whisper “We Love You” every night. Our hearts are yours, forever, little one. I’m so happy for you, Cathy! We had dinner at Betty & George’s last weekend, so we knew it was impending. I just hope you live close enough, so you can enjoy that little guy! Thanks so much Barbara! I live about 10 minutes away from the baby (and the parents :)). I think of you and the group often and wish we could have another adventure! So good to hear from you! Cathy – love this – It is hard to imagine loving someone as much as you love your own children….but it happens! Enjoy every moment! I can’t wait to meet him! Thanks, Pamela. I hope you can meet him soon! Thanks Jennifer. So good to hear from you and learn of another Evan Michael! Hope all is well with you!